We have been in the midst of so many wonderful things it has been hard to take the time to record it all. 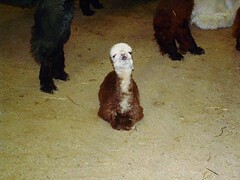 The best thing of is the birth of Ariana's beautiful cria, today May 1st. She is a gorgeous 14pound (looks like rose gray). Yesterday, several animals were shorn by Mary Jane. She does such a fantastic job. Darcy was the first to go. She was very calm as she had a nice spa treatment. Ed trimmed her teeth while Mary Jane trimmed her hair. I think she must feel a lot better now. Ed also took a skin biopsy. We are looking forward to seeing the test results. Ruthanne helped me sort Darcy's fleece on my new sorting table that worked out just fine. The fleece is going to AOBA nationals at the end of May. It sure is beautiful and I can't wait to work with it. Last weekend I went to a Marty McGee Bennett clinic that was very informative and encouraging. 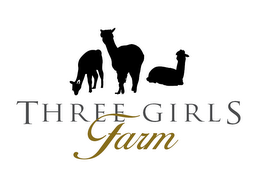 I highly recommend a Camelidynamic clinic for all alpaca owners. I truely am fortunate to be getting my training from the best people in the business. Every day is a learning experience. We think we finally found the right person do grade and prep the barn site. We are on his list and expect him here early next week. That means the barn is not too far behind. The grader also has connections with a hydroseeder. My next job is to research the proper plant mix for the pasture.